Here is a promotional item that is a big hit with realtors and mortgage loan officers. Label can be personalized with your logo and buisness info or the property of the recipient. 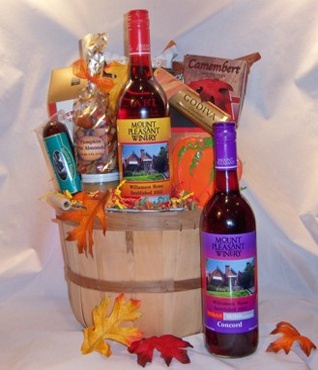 Basket contents include wine, cheese, crackers, sausage, snack mix, cookies, popcorn and chocolate.